When her husband’s company transferred him to Canada, Kiran Thapar Otto did what every supportive spouse does – she encouraged him to not miss the opportunity. “I was overjoyed that he was getting a chance to gain international experience and grow in his career,” she says. At the same time, Kiran felt apprehensive about her own employment prospects in a new country where she had no social support or professional network. 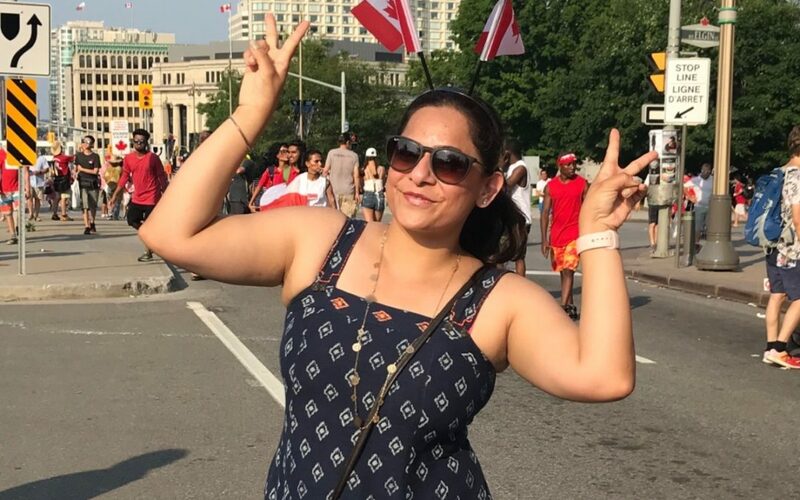 Despite her misgivings, she quit her job back home in India, packed her bags and landed in Ottawa along with her husband. “The first few months just flew by. There was so much to do – set up a new home, explore a new city, it was amazing,” she says. Once the young couple settled in, Kiran decided it was time to get back to giving some thought to her own employment. So, one of the first things she did was to reach out to immigrant serving organizations in Ottawa. Kiran met people from all over the world, including immigrants looking for work just like her and those who had managed to establish themselves in Canada after years of struggle and hardship. She made some new friends, too, and suddenly the new country didn’t feel as intimidating as she had previously thought. Since she had some time on her hands, Kiran started volunteering at a not-for-profit organization. As her social and professional network grew, so did her confidence. Though she was turned down for a few jobs she had initially applied for, Kiran did not lose hope. She started reaching out to people in her network and sending out feelers about needing a job. And one fine day, someone she knew told her about a vacancy, she applied and was hired after a few rounds of interviews. Kiran concludes that, thanks to everyone who helped her in her pursuit of employment, she can now finally share her “Canadian dream” with her husband.